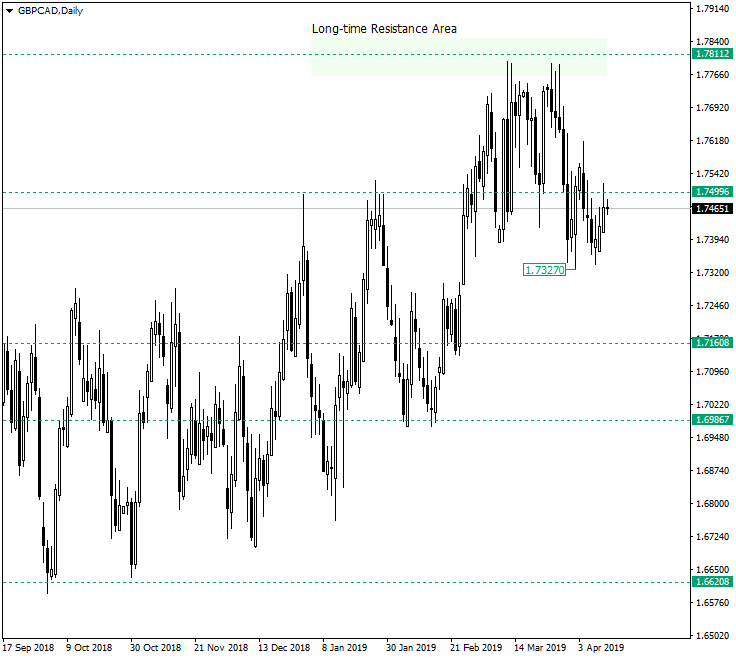 The flat that began around 1.6620 continued as a heavy ascending move that met a first resistance at 1.7499 and a second one at 1.7811. What these two levels have in common is that they made the price peak twice around the same values and that the retracement which they set in motion extended beyond their neighboring intermediary support levels — the first one pierced 1.7160 after falling from 1.7499 and the second one punctured 1.7499 after dropping from 1.7811. To note is the fact that in the first case the move was stopped by the next support level, 1.6986, respectively. For the present situation such a help could be offered by the low of the current move, namely 1.7327. So, the price could continue to fall towards 1.7160 only to be stopped around 1.7327, dragged again above 1.7499, and projected to 1.7811 with a possible reincarnation of the March 1, 2019, piercing. If such a scenario materializes, then the next resistance is at 1.8103. On the contrary, a continuation of the current descending move could retest the 1.7160 area. The ascending move that started around the 1.7383 handle looks like it had ended at 1.7481. If this holds true, then the price could target 1.7383. 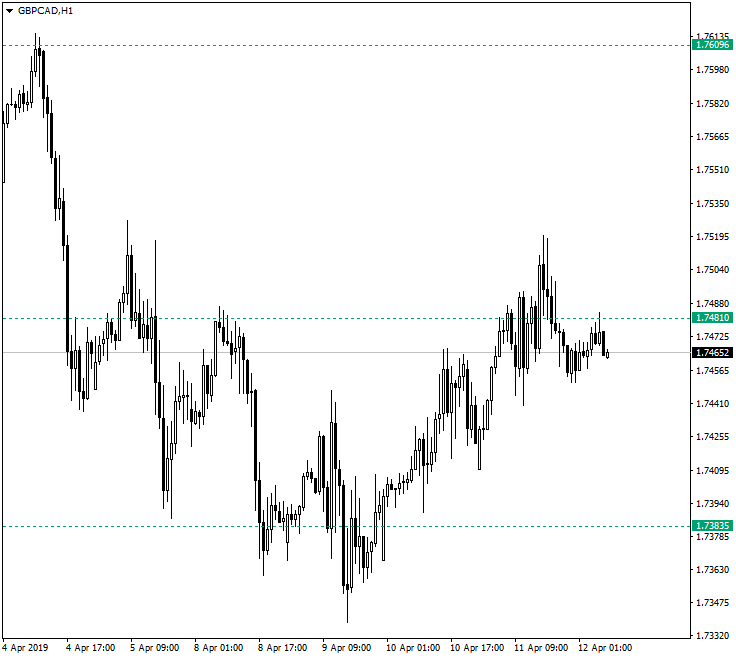 On the other hand, a success in getting above 1.7481 and a confirmation of it as a support will make 1.7609 possible. Given that on the long-term perspective the price points towards north, any depreciation represents a chance for the bulls to push prices higher. If you have any questions, comments, or opinions regarding the Technical Analysis, feel free to post them using the commentary form below.